The future of many local authorities is in doubt under plans for a mass transfer of 3,500 staff to Irish Water, it has been claimed. 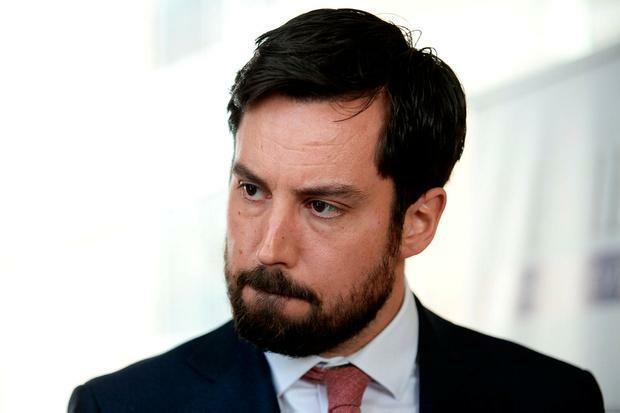 In a letter to Local Government Minister Eoghan Murphy's department, the trade union umbrella body accuses it of failing to explain how local government will be maintained. Unions and the minister will meet today to discuss plans to move local authority staff to the national utility. The staff provide water services but are still direct employees of the local authorities. They would become employees of Irish Water by 2021 under the plan. The letter from Irish Congress of Trade Unions industrial officer Liam Berney said correspondence from the department "does not refer to how the system of local government is to be maintained in the longer term". "We are concerned that the ending of the service level agreements could threaten the future sustainability of many local authorities," he said. Trade union Fórsa said the minister has no chance of support for his plan unless he guarantees Irish Water stays in state ownership by holding a referendum. Irish Water said there is no date set for talks but it is committed to no compulsory redundancies. A spokesperson said the minister asked that talks on the staff transfer are concluded by the end of February. She said they are designed to ensure Irish Water is not left without a skilled workforce.